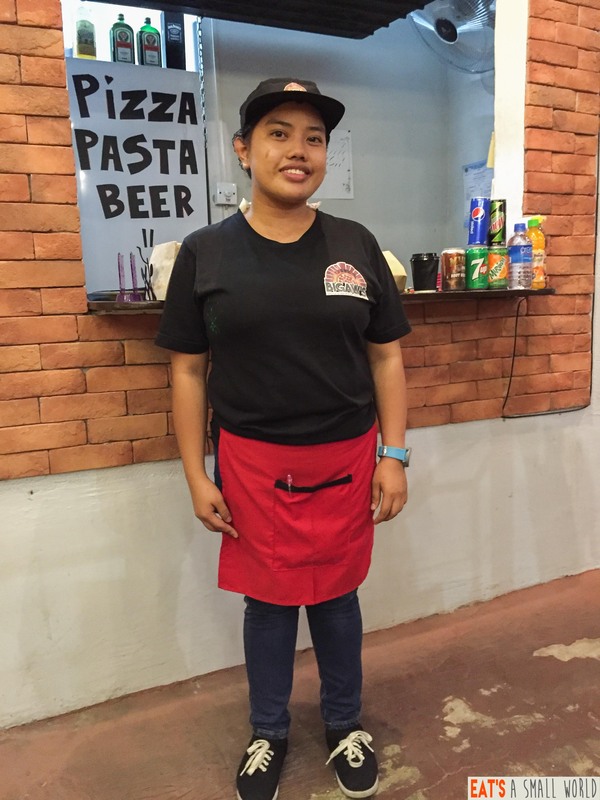 Bigaw’s Pizza: The Best Pizza in Marikina? 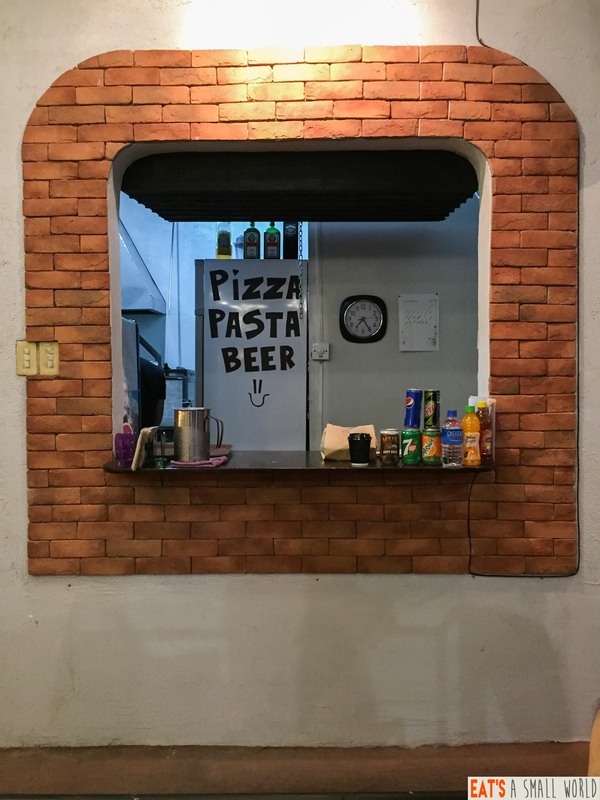 The team of EAT’S a Small World traveled from Makati and Quezon City to bustling Marikina City to try a restaurant that serves brick oven cooked food – something our team likes. 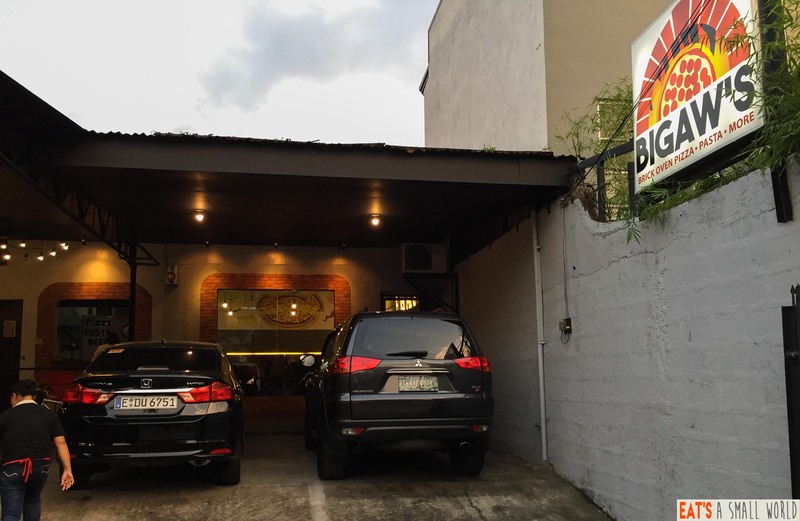 On our way, we found so many restaurants that have unassuming facades which triggered our curiosity because, based on our experience, these restaurants are the ones that serve really delicious dishes…and then we reached our destination – – Bigaw’s Brick Oven Pizza. 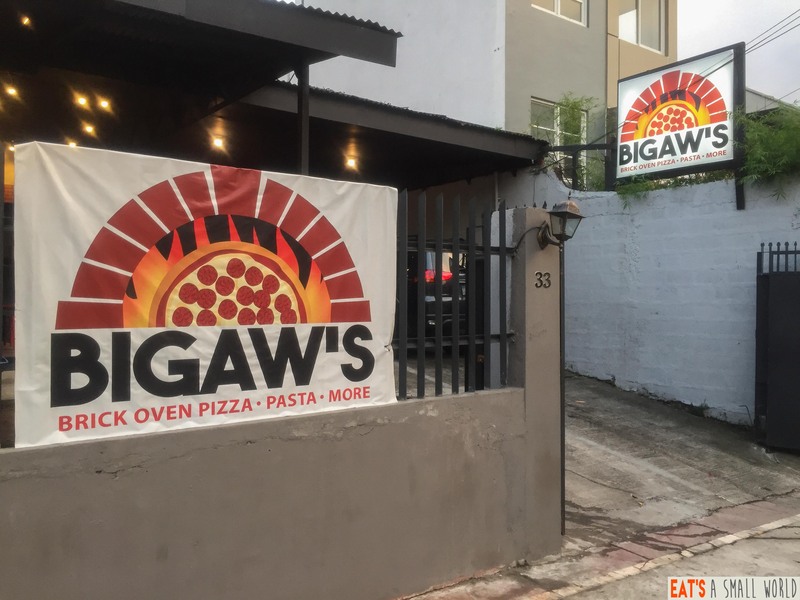 Bigaw’s (similar to how we say “big house” minus the “h”) has parking slots within its premises. A plus factor for diners with cars. If the parking area gets full, the roadside may be used. No problem with that. From the parking area, you can see that the restaurant has two main sections: the air-conditioned and open area. As we walked towards the air-conditioned room, we passed by this brick framed window where you can see what’s going on inside the kitchen which is clean. This is the “open air” part of the restaurant which looks like a perfect place for after-dinner activities. We imagined how friends would have a great time while eating good food and drinking their favorites drinks. On certain nights, an entertainer sings popular songs for diners. 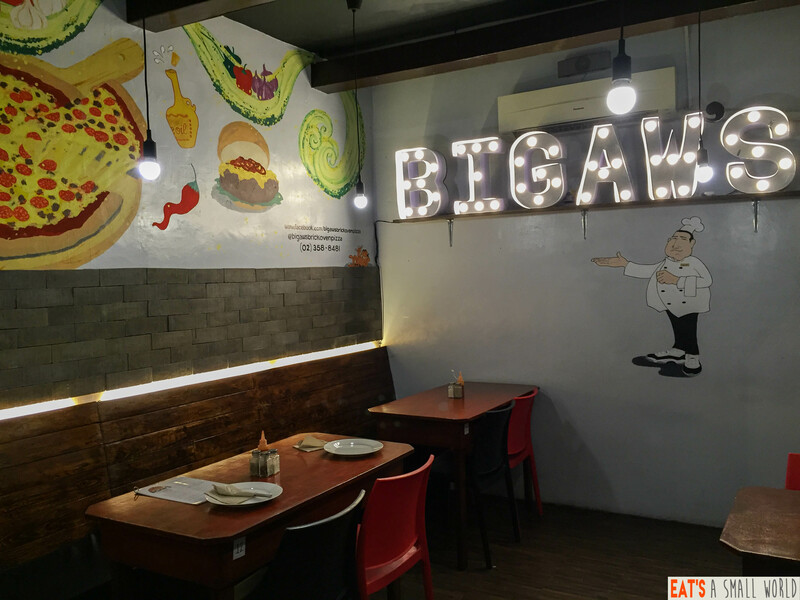 The interior of Bigaw’s is a fusion of rustic country and modern design. In the room pictured above, there are wooden tables with beautiful grains on them. 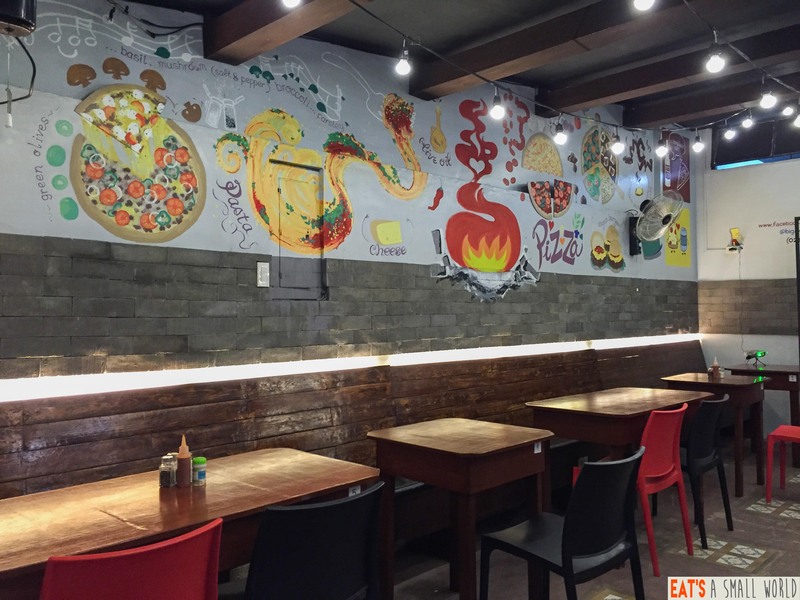 The painting on the wall is similar to those found in quaint restaurants in picturesque Italy which Anthony Bourdain frequently features on his show. Very intimate ambiance yet perfect for family dinners. As a matter of fact, when we were inside, two families entered occupying both ends of the room. They seemed to be a regular guest because they knew what to order. Our expectations were running high. …and now for the main topic – the food! 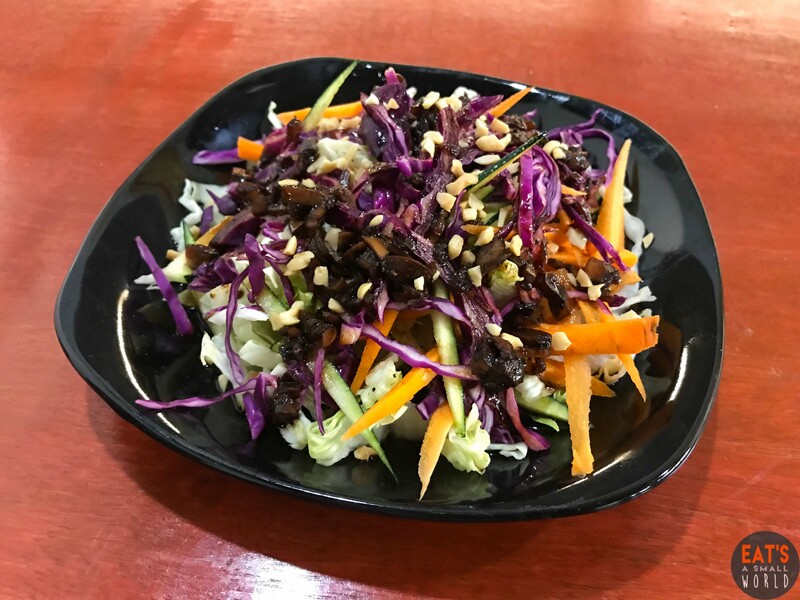 We started our culinary excursion with this salad made of fresh mixed greens, julienne carrots and purple cabbage (great for the skin!) served with candied nuts dressed in Balsamic vinaigrette. When the sweetness of the candied nuts embraced the sourness of the vinaigrette…it was just pure delight. The crunch of the fresh veggies added texture to this wonderful salad. Delizioso! 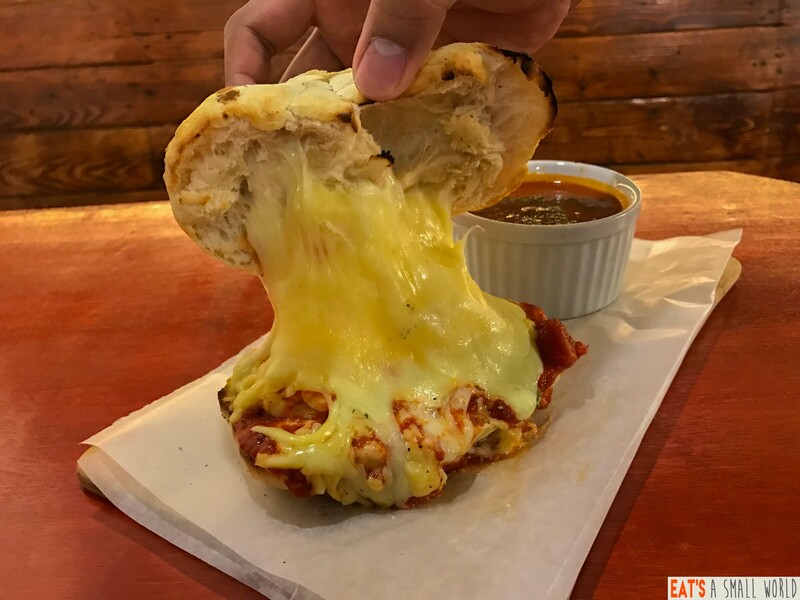 Mozzarella, cheddar and mornay sauce stuffed in house dough served with hot tomato soup. Jeeez…when we came across this on the menu, we just had to try it. Who doesn’t love cheese? Anyway, when we sank our teeth on this panini, we just looked at each other and gave our “nod” of approval. You know…it’s like when you’re eating something delicious and you’re in a “Do not Disturb” status and all you just want to do is relish its taste? No talk for the meantime. 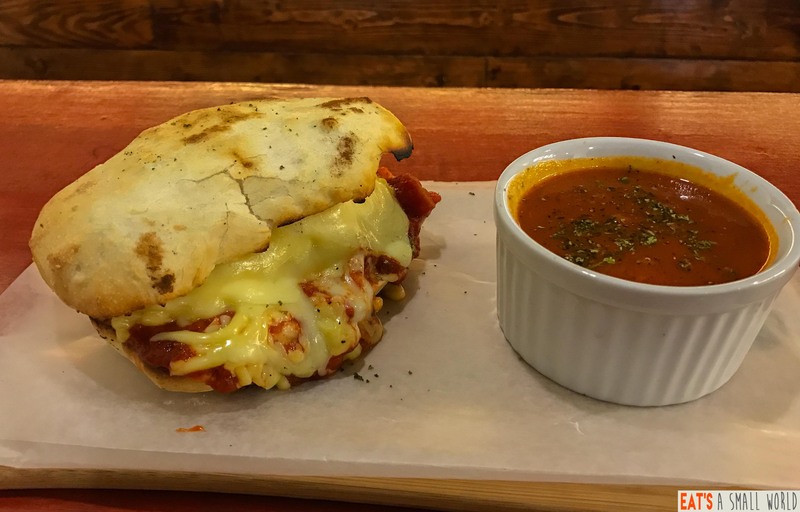 However, when Arnold began to try the zuppa di pomodoro (tomato soup to you and me), his eyes got wide open and blurted out “Kevin, you have to try the tomato soup!” According to Arnold (who worked in three “5-Star” hotels), this is the best tomato soup he has ever tasted. We had to request for two more servings and then we were informed by the server that the refill was free! Gosh, we had to control ourselves from asking for another serving lest we look like “PG’s” (lol). Nahiya na kami sa sarili namin – actually. Since we want to eat healthy, we were happy to see this dish. 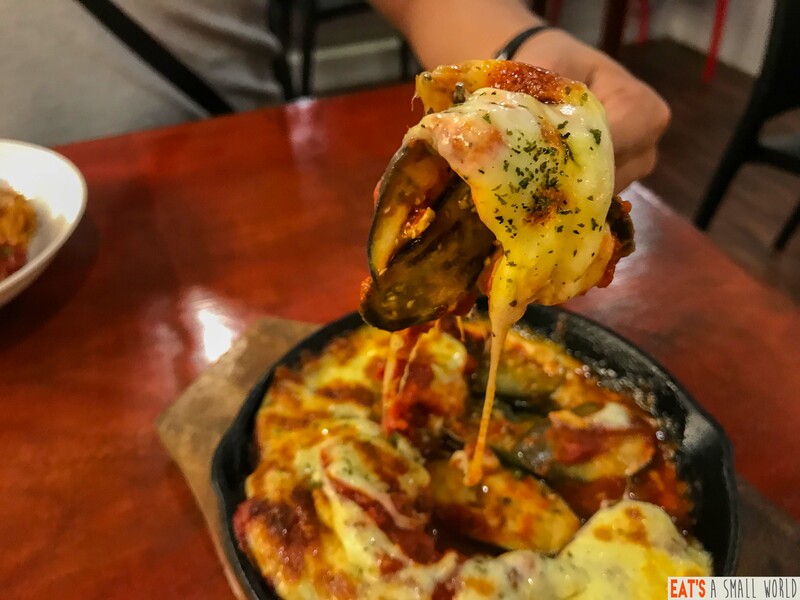 Again, Bigaw’s was living up to our expectations: the marriage of the rich mozarella, the sour flavor of the tomato paste/sauce and the smokey flavor of the eggplant (remember, it was cooked inside a brick oven) was molto bene (very good)! Here’s a closer look at a slice of the “Baked Eggplant”. Deliciously gooey! It’s a “must try”. We like spicy food because it challenges our palate. This is why we ordered this Arrabiata. Were we happy? Absolutely. First of all, its spiciness was not overpowering. 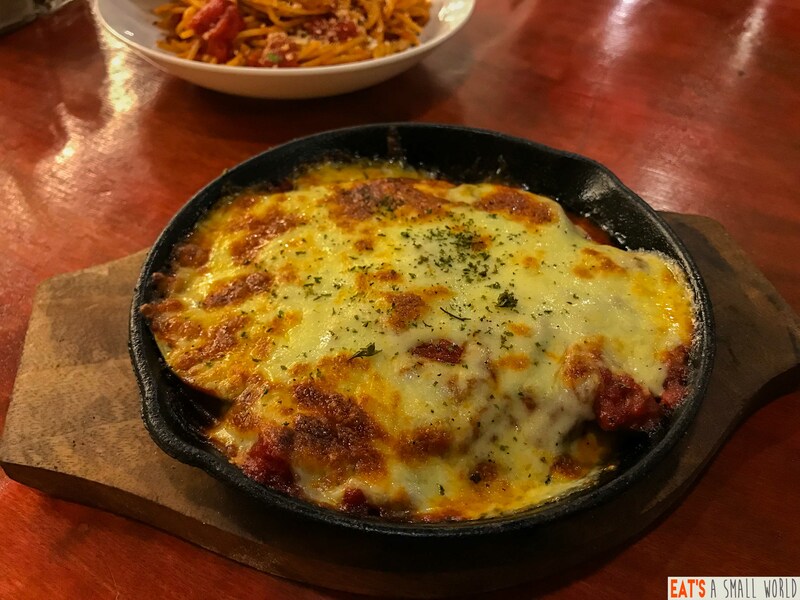 It was enough to whet one’s appetite most especially because it complemented the tomato sauce base which had a trace of basil and sprinkled with loads of parmesan cheese and generous slices of sun-dried delicious tomatoes. Bravissimo! 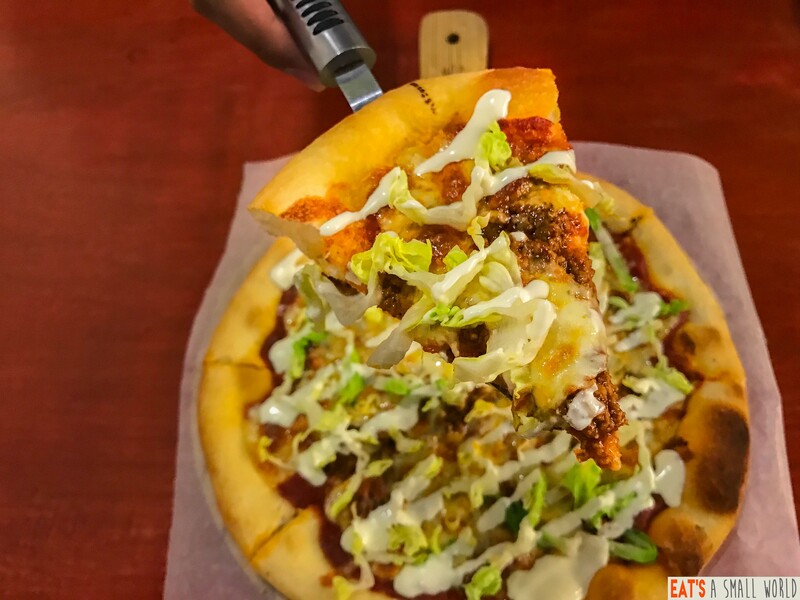 It is obvious that they make their own pizza dough and that is a plus factor. Slightly spiced ground beef with sour cream and shredded lettuce on top of a delicious tomato sauce is just mouthwatering! The server informed us that the dough is freshly made and will take 15-25 minutes to prepare. No problem there. It was worth the wait! 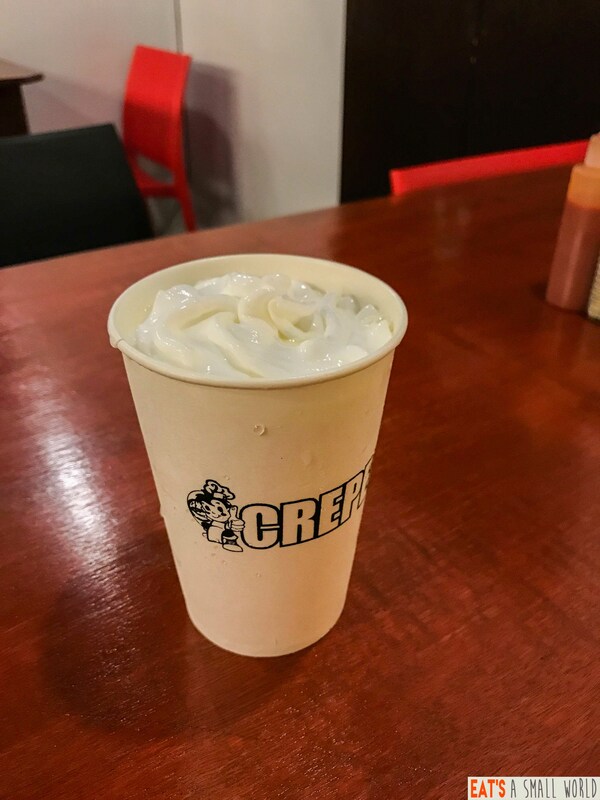 Rich and creamy and so refreshing. According to Arnold, this was perfect with the Baked Eggplant. Really milky and yummy. 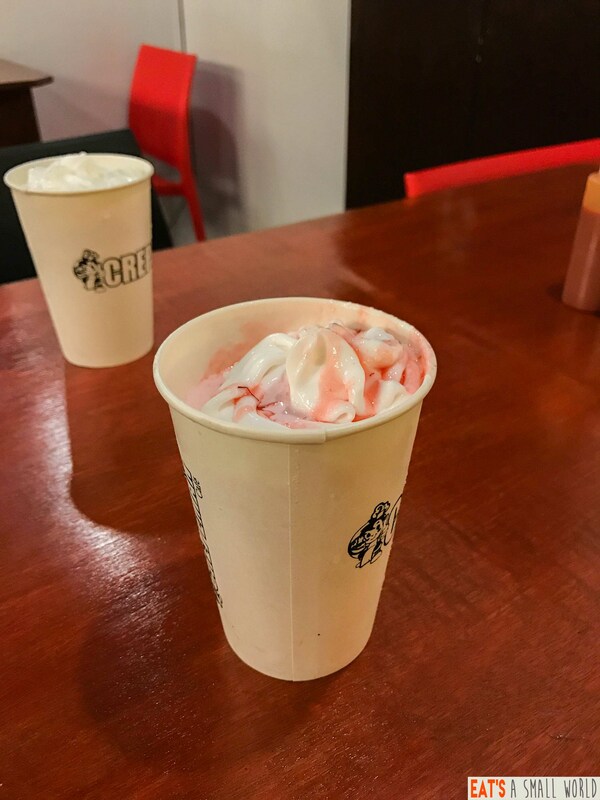 Please be advised that both shakes are from Crepeman’s milkshakes – a sister company of Bigaw’s. She took care of us. She answered some of our questions and was very diligent. Eisma is an asset to Bigaw’s. 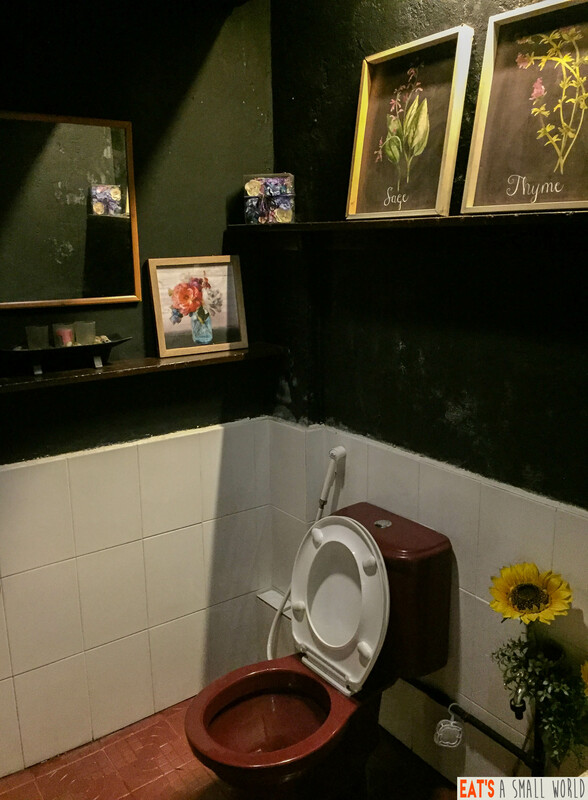 If you are a follower of our website, we also review the restrooms which we feel is often overlooked at by restaurant management. It is in here that we spend our most intimate private moments. Therefore it MUST be well-kept. Bigaw’s restroom is clean. It smells good and does not have water problems. It has pretty paintings which complements the rustic ambiance of Bigaws. Well, we guess that after our review, you know that we will recommend this to you. Yes, aside from the food, we loved the hospitality of everyone. You could even see the young and gracious owners assisting their staff and having small chats with their diners. Getting feedback? Well, that is one way to know if what you are doing is correct. Also, the price of their food was absolutely affordable and you will get more than what you have paid for! Team Eat’s a Small World will go back to Bigaw’s and that’s going to be soon! This review is the opinion of the author based on actual experience. 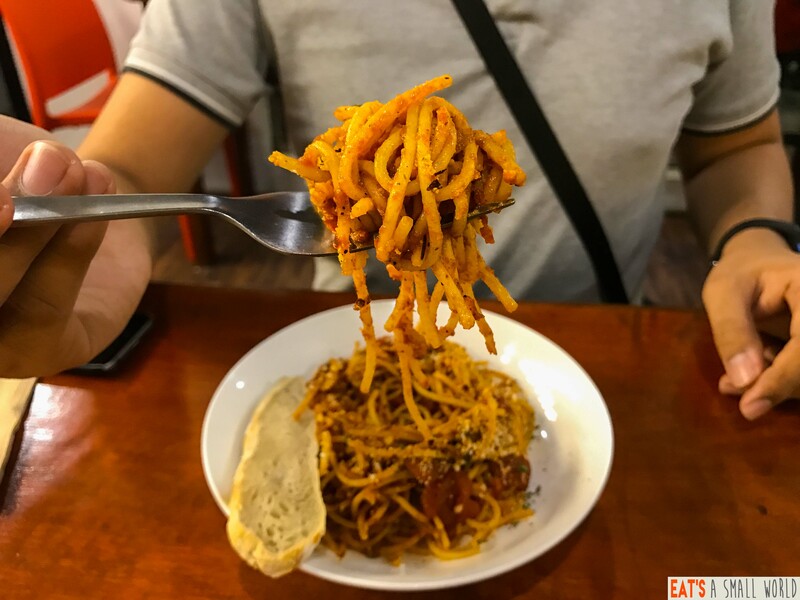 The establishment may have changed in terms of ownership, prices, decor, service, food preparation and food presentation after the posting of this review. This is not meant to influence the reader’s decision. Arnold has worked in three "Five Star" hotels (Manila Hotel, Manila Diamond Hotel and Dusit Thani Manila) where he developed his love for good food, excellent service and quality accommodations. He enjoys discovering new places and accommodations that will suit the budget-conscious pockets of Filipinos.